Giovanni Maciocia is one of the most highly respected practitioners of acupuncture and Chinese herbal medicine in the West. Originally from a medical family in Italy, he trained in England at the International College of Oriental medicine graduating in acupuncture in 1974 after a three-year course. In 1980, 1982 and 1987 he attended three postgraduate courses in acupuncture in China at the Nanjing University of Traditional Chinese Medicine, gaining invaluable knowledge and clinical experience. He read Chinese and therefore had access to all the Chinese medicine textbooks, old and modern, published in China.Giovanni also studied Western herbalism and graduated from the National Institute of Medical Herbalists in 1977. In 1996, Giovanni Maciocia was appointed Visiting Professor of the Nanjing University of Traditional Chinese Medicine, a foremost teaching institution in China.Giovanni is the author of many articles published in professional journals. His article on M.E. (post-viral fatigue syndrome) has been published in a Chinese medical journal, an honour rarely bestowed on foreign writers in China. 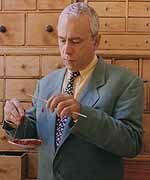 Giovanni Maciocia is the author of Tongue Diagnosis in Chinese Medicine, The Foundations of Chinese Medicine, The Practice of Chinese Medicine, Obstetrics and Gynaecology in Chinese Medicine, Diagnosis in Chinese Medicine, The Channels of Acupuncture, Clinical Pearls and The Psyche in Chinese Medicine which have become textbooks for all major acupuncture colleges in the world. Giovanni taught acupuncture and Chinese medicine in several schools all over the world. He is well known for his rigorous and meticulous style combining a thorough knowledge of Chinese medicine with 39-years clinical experience. While firmly rooted in traditional Chinese medicine, Giovanni’s ideas are often innovative as the theories of Chinese medicine need to be adapted to Western conditions and new Western diseases. For example, Giovanni formulated an innovative and original new theory on the aetiology and pathology of asthma and allergic rhinitis. He also formulated a theory on the aetiology, pathology, diagnosis and treatment of M.E. (Post-Viral Fatigue Syndrome) entirely from scratch as this, being a new disease, did not exist in the Chinese literature. Giovanni practicedTai Ji Chuan,Ba GuaandXing Yi. 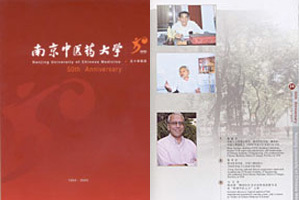 Giovanni was honoured by his inclusion in the brochure celebrating the 50th anniversary of the foundation of the Nanjing University of Chinese Medicine (where Giovanni attended three courses). Giovanni is described in this brochure as the “Father of Chinese Medicine in Europe”.